Written by an expert with over 15 years’ experience in the field, this book establishes the foundations of Cloud computing, building an in-depth and diverse understanding of the technologies behind Cloud computing. In this book, the author begins with an introduction to Cloud computing, presenting fundamental concepts such as analyzing Cloud definitions, Cloud evolution, Cloud services, Cloud deployment types and highlighting the main challenges. 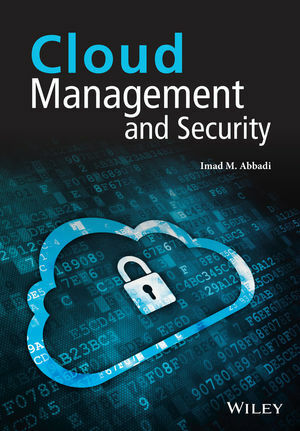 Following on from the introduction, the book is divided into three parts: Cloud management, Cloud security, and practical examples. – focusing on mechanisms for treating the security challenges, discusses foundation frameworks and mechanisms for remote attestation in Cloud and establishing Cloud trust anchors, and lastly provides a framework for establishing a trustworthy provenance system and describes its importance in addressing major security challenges such as forensic investigation, mitigating insider threats and operation management assurance. Finally, part three, based on practical examples, presents real-life commercial and open source examples of some of the concepts discussed, and includes a real-life case study to reinforce learning – especially focusing on Cloud security.